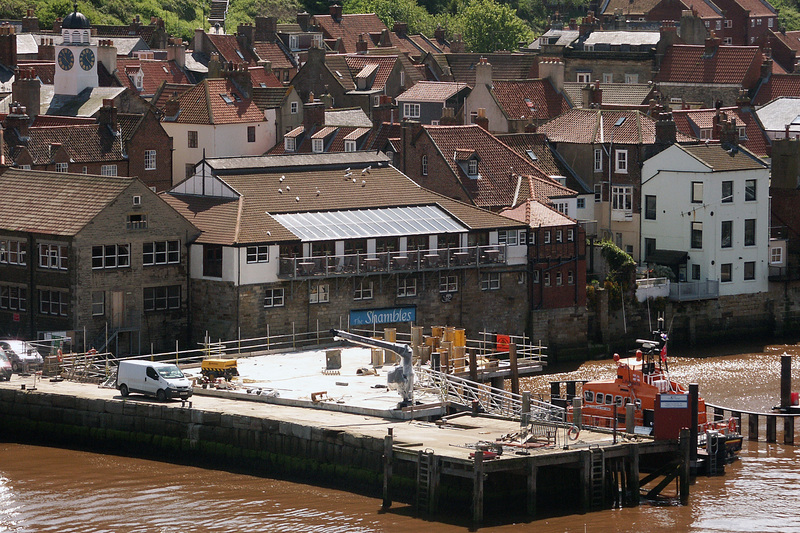 This is the first one that really presents the first steps on the building of the new station house, before that however the first three photographs show the piling in place. 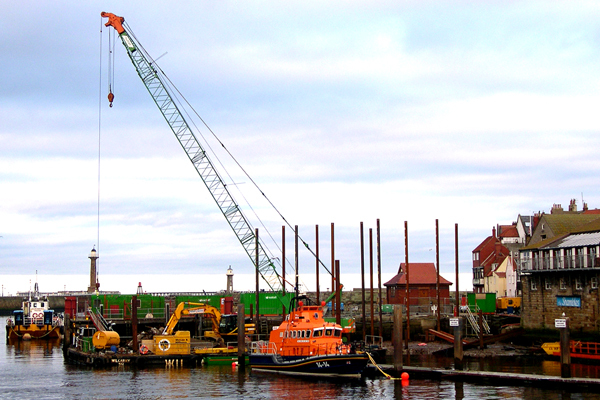 The piling was initially quite high and they towered above the "Trent class lifeboat" George and Mary Webb as can be seen in the first photograph. 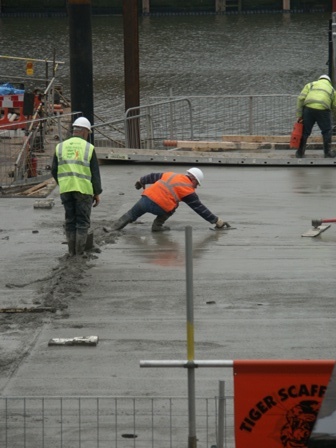 The piles were used in preparation for the many stone legs that will carry the entire station for many years to come. 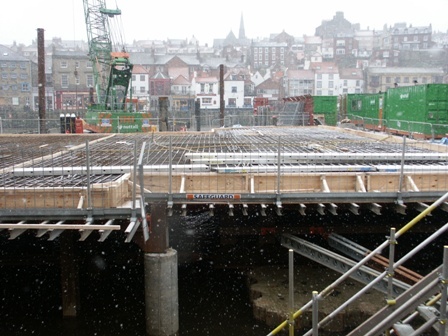 The three photographs above show the foundations in place and concrete being laid for the base of the new station. 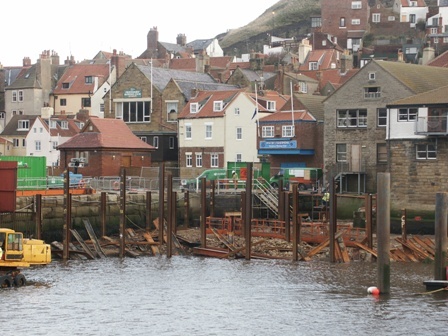 It was only with the new foundations in place that one could get a sense of how large Whitby Lifeboat Station was going to be when completed. 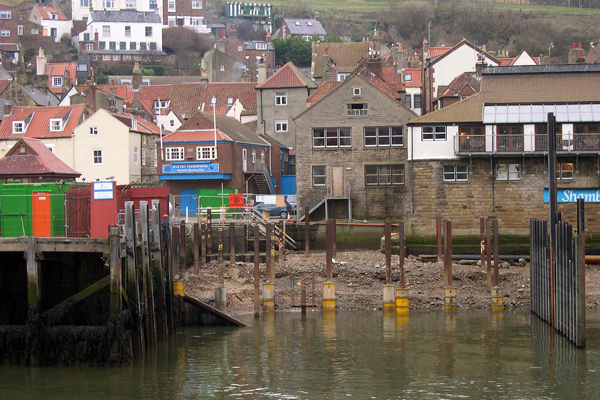 Well before the building started the lifeboat had to contend with a portacabin on the marina as their base of operations. It was decided that as the foundations were being prepared to place a time capsule within its confines. It was such a wonderful idea, and with my keen interest in the station and what it stood for I gifted one of my books to be included in the capsule. The station was pivotal to the rescue attempts during the loss of the Rohilla and I was really pleased to have been allowed the opportunity of having my book enclosed. The following buttons link to the other gallery pages.